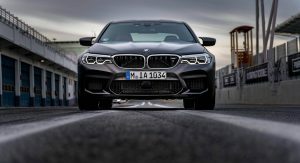 The new BMW M5 comes in just one configuration. And say what you will about the lack of a manual transmission (and the presence of all-wheel drive), it’s one heck of a setup. 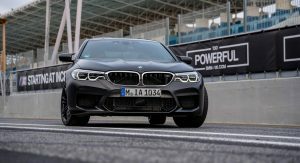 Its 4.4-liter twin-turbo V8 kicks out nearly 600 horsepower through an eight-speed automatic transmission, sending it to 62 in 3.4 seconds and on to a top speed as high as 190 miles per hour (with the optional M Driver’s package). The hardest choice, then, may come down to which color to order it in. And BMW Individual only makes the decision more difficult. 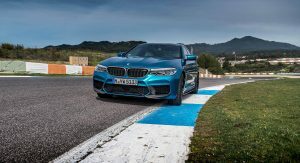 As it is, the Bavarian automaker’s latest super-sled comes in black, white, blue, teal, or three shades of grey. But the Individual catalog opens up a whole range of possibilities. 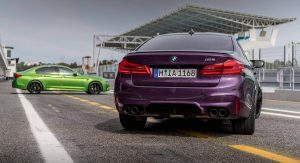 Just look at these latest images, published on Facebook by BMW itself, in which the M5 is showcased in a rainbow of colors. 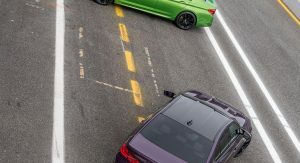 There’s one in Purple Silk, another in Java Green, one in Long Beach Blue, and a fourth in Champagne Quartz – all metallic paints that we’re sure look even better in person than they do on our screens. But that’s not the end of it. 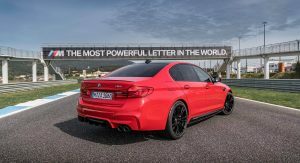 Flip through the images and you’ll see one in what the manufacturer itself has termed “Ferrari Red,” and another in matte Frozen Black. What’s more is that we’re sure these are just a few of the options, however much they may cost. 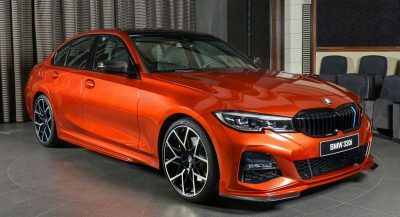 BMW Individual has been known to cook up Munich’s finest in just about any color you want, as long as you’re willing to pay for it. People need to be careful when choosing “individual colors” that might seem cool at purchase, but don’t wear well over time. Not sure what I mean- try selling that lime green M5 2 years from now when the market is saturated with M5’s. Rare colors on sports cars are not only more sought after but also often command a premium in the used market. This is a 4-door sedan. 90% of buyers will see it for that. 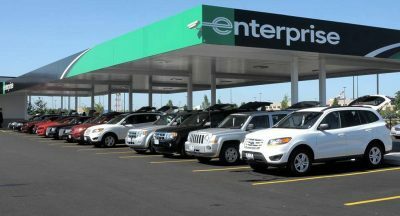 2nd hand buyers don’t usually buy/collect and park/store 4-door sedans. They use them. Lime green isn’t a daily driver car color. Oh really? Nobody stores a Rolls or Bentley? How about your typical Sunday church mobiles like Evo or STI? That is exactly why the awesome looking colors are rare and have a premium in the used car market since 90% of buyers get them in boring colors. Look at e46 m3 in that baby blue. Super sought out color. Are you referring to Laguna Seca Blue? If so it’s not really baby blue, it’s more like light turquoise. 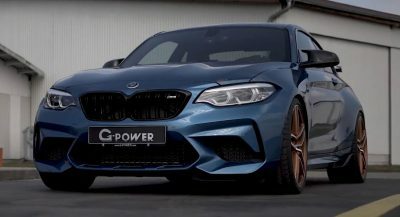 It’s close to Porsche’s Miami Blue but way darker. I don’t think BMW would’ve gifted DTM Driver’s Champion Marco Wittmann with a one-off M4 in Java Green if it wasn’t a special color. 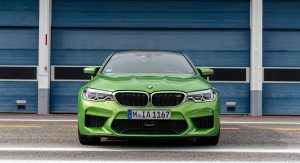 The last BMW 1 Series M Coupe to roll out of the Leipzig plant was also a one-off in Java Green, and the first BMW to be painted in this color. Dubbed “Green Mamba,” a title that alludes to the green mamba found in Africa. 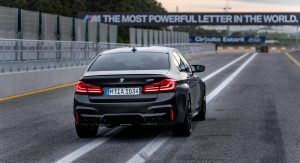 The M4 is a coupe. Completely different conversation that doesn’t apply here. I think if the color itself is rare, and costs a premium over the other standard colors, than the car would be more valuable, especially on Porsches, BMWs, etc. Remember when you could get brighter colors without having to pay such high premiums. Oooh I like that Violet one. I like black wheels. But they really shouldn’t go on everything BMW. Cool color, unfortunate design. M5’s stopped looking good after the e39. Mmmhmm. So which to you is less “bland”? For me, the e39 was simple, clean, and aggressive and keeping in the style of the original. 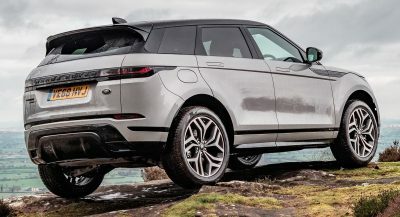 It had short overhangs, a reasonable wheelbase, and looked aggressive. Todays look like land-yachts. They make even the prior 7-series generations look small. 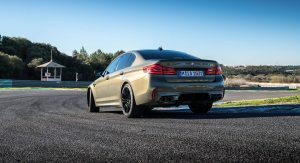 In fact, I’d argue the current M5 is really much more of an M7. Also, take out the kidney grilles and the current 5-series looks more inline with Kia’s design than anything traditional BMW. I think the F10 actually looks nice. It’s not as wild-looking as the E60 was. I don’t think there really suit the car to be honest. The flashy ones are too much, the matte one too boy-racer. The one in picture 5 is alright but the only right colour for a BMW M is dark blue.